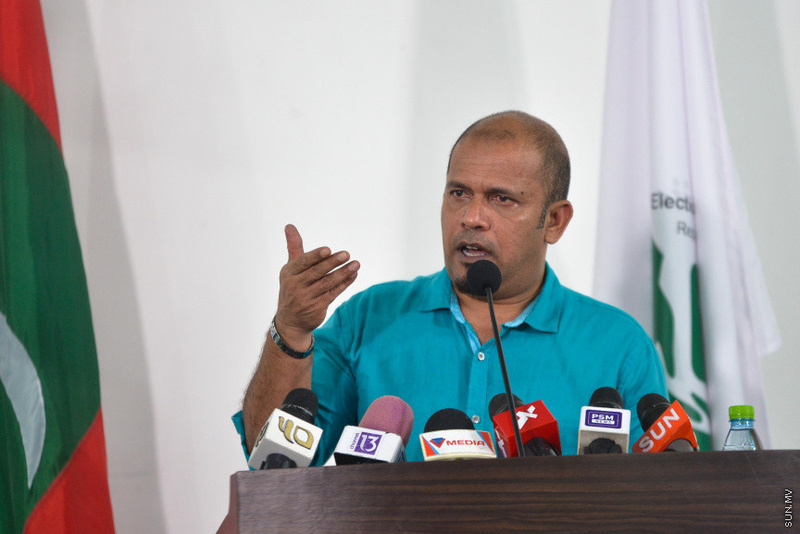 President of the Elections Commission (EC), Ahmed Shareef, has said that the commission will accept the recent Congress by the opposition parties MDP and Jumhoory Party (JP), as valid. Speaking at an EC press conference today, Shareef said that MDP and JP requested observers for their respective congresses. However, the EC President gave no further details on the matter. He said that following some change to their respective party regulations, the Elections Commission is working with the political parties to complete the legal process. No further details were given on that either. Over 800 members took part in the MDP Congress where many important decisions were made. MDP made an amendment to their regulations authorizing the Congress and the National Committee. The JP Congress created the position of the President of the Party and appointed Ali Waheed to the position. They also vacated the position of Party Leader and tasked the Deputy Leader, Dr. Hussain Rasheed Hassan with the duties of the Leader.